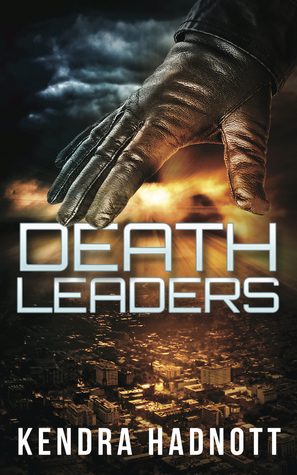 Death Leaders is an engaging dystopian novel about a shadow group keeping Earth’s population in check by secretly triggering acts that will lead to death for lots of people. Where did the idea for this novel come from and how did it develop over time? Chris is a complex and interesting teenager struggling to make sense of the world. What was the inspiration for this character’s traits and dialogue? I didn’t want Chris to be shallow. I don’t like one-dimensional characters in children’s or YA fiction because I think it’s insulting to children and young adults. Children know and observe more than we think, so I wanted to give my readers something to think about with Chris. I wanted him to care about typical teenage things, but with a twist. I was determined to make his struggles more complex. For example, Chris is afraid to get close to girls, but for a much, much different reason than the average teenager. I loved creating that internal struggle. The story is placed in futuristic Chicago where crime and violence run rampant. Why choose this city and time for the setting of the story? I was born and raised in Chicago, so to me, the setting was almost a no-brainer. This was my first YA novel, so I wanted to stick to a setting that I knew and that would fit the story. I felt that if I was familiar with the setting, it’d be easier for me to alter it a little to make it futuristic. I chose the near future because I wanted some new-age elements in the setting, but nothing too crazy (I really wasn’t feeling the idea of flying cars or anything spacey like that). You’ve written six fantastic novels so far. Will Death Leaders turn into a series or are you working on a different story? Death Leaders actually started off as a sort of vignette into this near-future world. I didn’t write it with the intention of carrying on a series, but I’ve had so many people ask me about what Chris will do next, that I’m starting to toy with the idea of continuing Chris’s saga. I do have a few other projects in the works as well. I have a picture book coming out in October, and an educational series for middle graders coming out shortly after that. The year is 2031, and now more than ever, population numbers are threatening to spiral out of control. The Death Leaders—a quasi-angelic group historically tasked with keeping the world’s population under control—work systematically to inflict death by using a single touch. Heroic Chicago Death Leader, Christopher Rush, is efficient and meticulous in his execution. After all, he’s learned from the best, his father, instigator of the Great Potato Famine. When Chris is assigned 19-year-old Tracy Wilbourne, he assumes that she’ll be a kill like every other. Business as usual. But Chris soon learns that everything isn’t always as it seems, and that no one is exactly who they appear to be. It’s 2031. Crime and violence plague the city of Chicago. The government constantly tracks its people with small hardware implanted into each citizen’s neck. At the same time, another organization, possibly even more powerful than the US government, is working in the shadows – completing their own macabre agenda. Chris, once a homeless orphan, is rising quickly through the ranks of this organization. Having been adopted by a very old man who is well-known throughout the organization, many are jealous of Chris and his high pedigree, making it even harder for him to perform his grave responsibilities. In this way Kendra Hadnott sets up what happens next in her delightful new novel Death Leaders, a tight, well-written yarn. Death Leaders is Hadnott’s 6th novel, and is a work from a writer with experience, insight, and imagination. The writing and dialogue is fluid, allowing you to simply become engrossed in the story. Her characters’ emotions and actions are believable and empathetic, you find yourself rooting for Chris and then questioning if you should be. And lastly, the dystopian setting and story keeps you enthralled throughout. After receiving a confusing new assignment related to a young local woman, Chris begins to take careful first steps, knowing his reputation and future in the organization depend on it. As he becomes more acquainted with this girl, he begins to sympathize with her, wondering about her past and becoming smitten by her good looks. But as he continues moving forward, he realizes that someone else, possibly from his very own organization, is stepping in and complicating the situation. He doesn’t know why someone is interfering or even how far up the organization’s ladder this conspiracy goes. Is it just jealousy of his father, or is it something else? After turning to his friends for help, he realizes that even they are keeping secrets from him. In the same vein as Hunger Games and Divergent, Hadnott creates a not-so-average teen who is trying to make sense of his personal life, as well as how he fits into a larger system. Death Leaders is well-written and gripping. The characters’ backgrounds, feelings, and motives are well fleshed-out, and the setting is appropriately creepy, tinged with a dark side that is just enough. This definitely has crossover appeal – enjoyable for both young adults and parents alike. This isn’t just a novel that revels in the dystopian worlds that are so popular right now. Sure, the setting is exciting and fascinating – a dismal future, where the population has little freedom and where certain random ‘life’ events aren’t quite random. But, like the Hunger Games trilogy, the real appeal is the focus on characters’ emotions, actions, and motives. It’s all just set in an incredibly detailed and rich backdrop that keeps us wondering what will happen next.